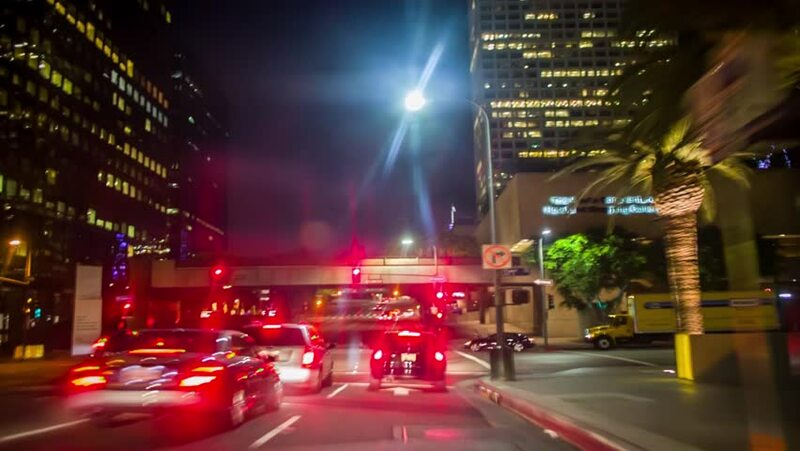 POV driving through downtown Los Angeles city streets. Timelapse. hd00:08Night traffic in West Hollywood city, pan down. Los Angeles, California. 4K timelapse.